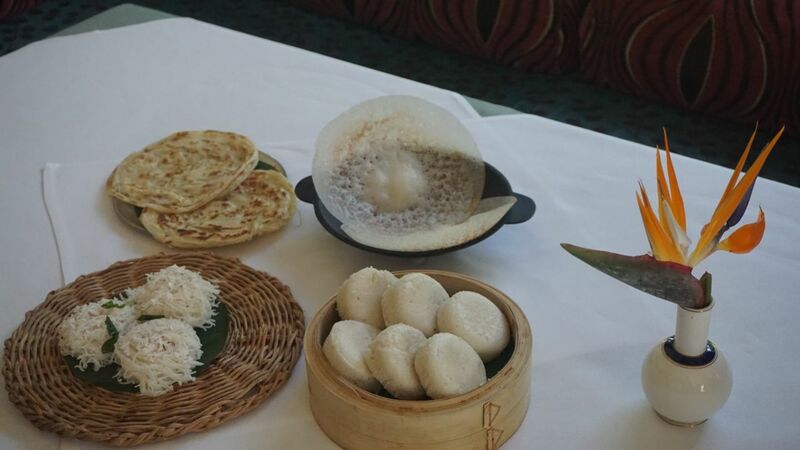 Karavalli, the south western coastal speciality restaurant at The Gateway Hotel, Bengaluru is as iconic as it gets, for its superb showcasing of food from the coastal states of Goa, Karnataka (especially Mangalore and Coorg) and Kerala. When I was a resident of Bengaluru in the new millennium, it was my go-to dining destination whenever I thought I deserved a special treat and that was quite often! So, when a pop up of Karavalli happens in Hyderabad as part of the Culinary Trails inititiative of Taj Group of Hotels, and you get to know that Chef Naren Thimmaiah is taking over the kitchen at Firdaus (the Indian-Hyderabadi speciality restaurant at Taj Krishna) you charge up like an eager bunny. Chef Thimmaiah has been with Karavalli since its inception in 1990 and like he says, “The chefs at Karavalli have stayed on until retirement, such has been its preoccupation with our lives. 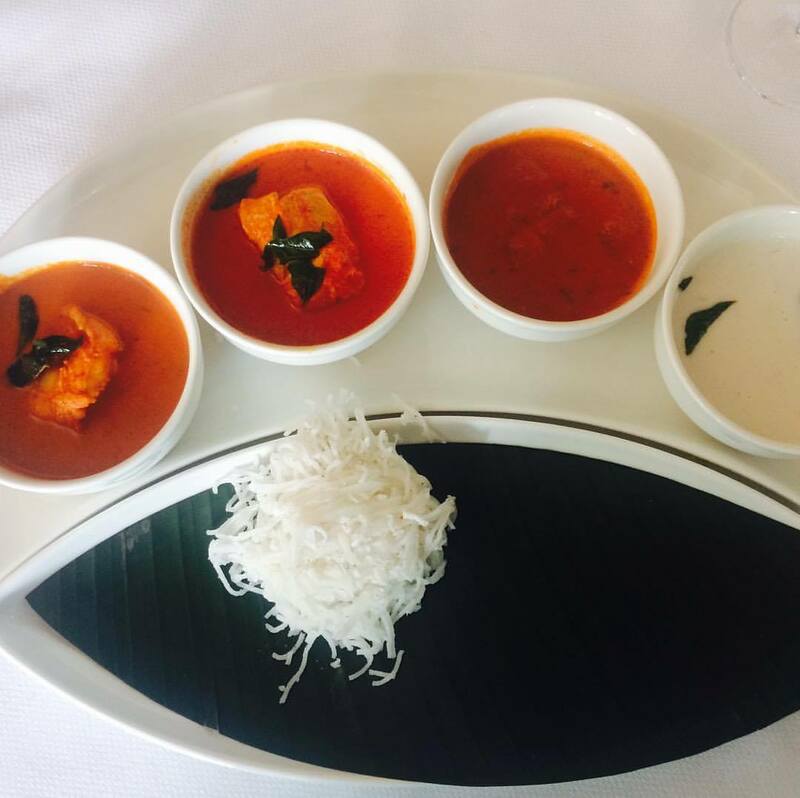 For me, a guest being impressed by a simpler rasam dish means much more appreciation than when praise flows in for complex signature dishes.” Humble soul! Such is the attention to finer detail, like freshness and authenticity of ingredients that it is a matter of routine when chef carts in about 300-odd coconuts from Kundapur in Udupi region of Karnataka for the promotion in Hyderabad! 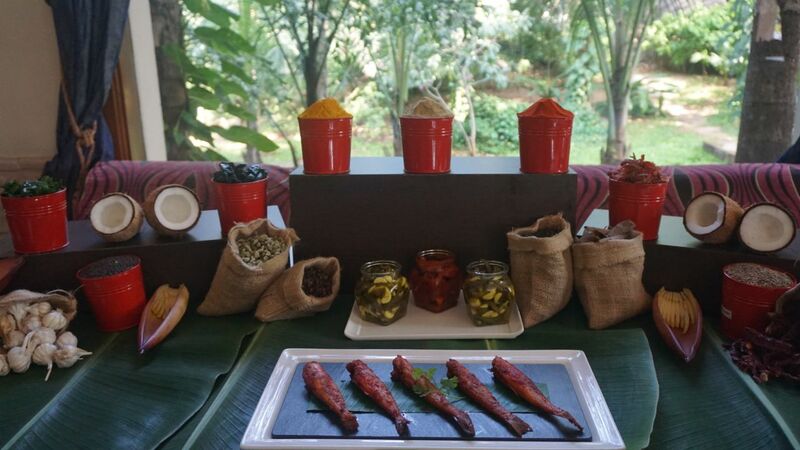 Our coastal feast begins with sumptuos starter offerings from the West Coast Seafood Grill, which is an intrinsic part of the Karavalli menu. Interestingly, the menu itself is quite aesthetically designed by renowned artist paresh Maity, a regular at Karavalli. 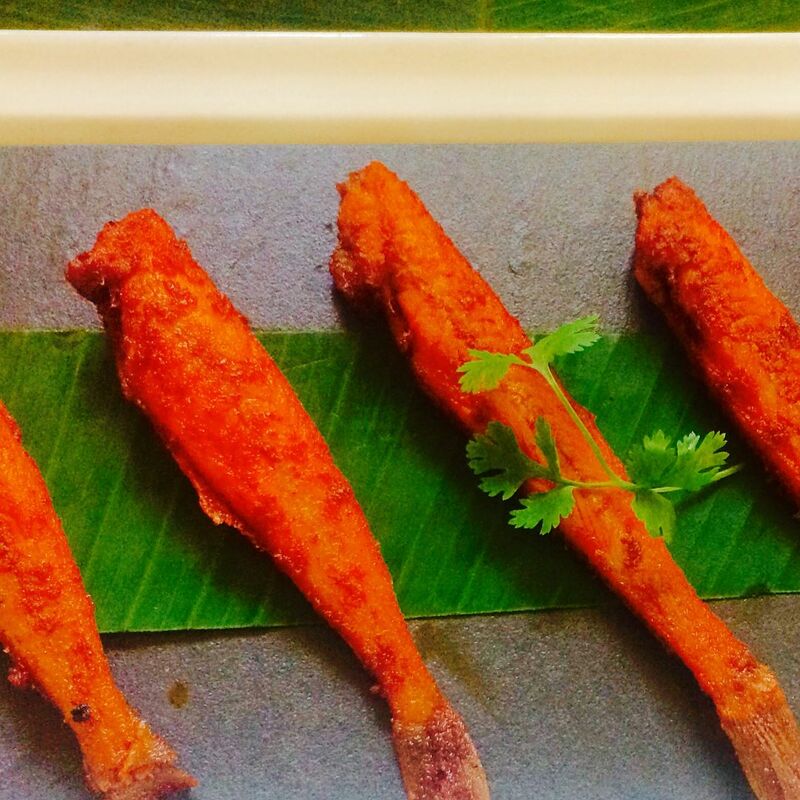 There is the delectable Karavalli signature special Tiger Prawns Roast, tossed in a Kerala spice mix of ginger, black pepper, coconut slivers, ginger, green chillies . I try only a tentative bite of Octopus Sukka, and Crab Milagu fry, as I am, perhaps, not feeling adventurous enough. 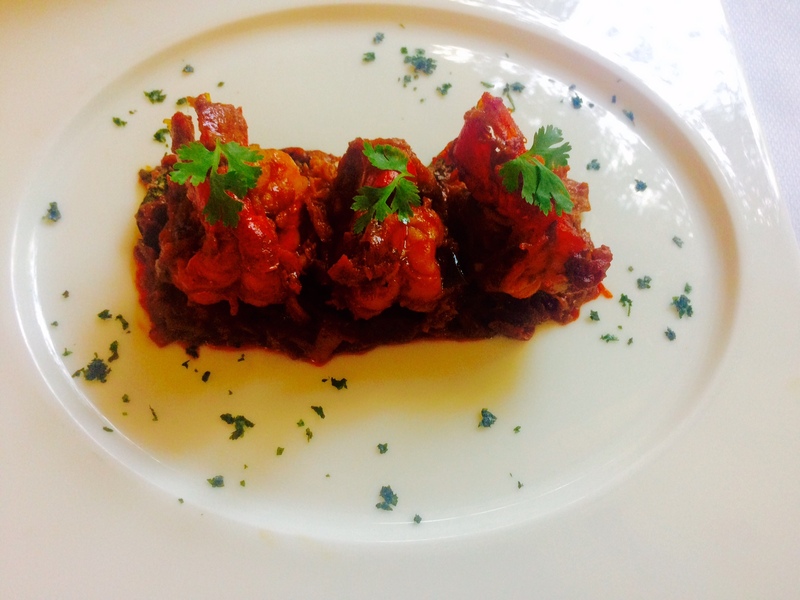 The octopus tastes succulent, just like prawns, with the masala of Bedige chillies. coriander and fenugreek seeds, pepper corns and cumin making the dish more palatable. Crab Milagu fry or pan-roasted mud crab in a spicy pepper masala also seems to be the right thing for crab lovers. Meen Eleittad, fresh black pomfret, marinated in the Malabar delightful masala of black pepper, and panfried wrapped in a banana leaf is flavorful and healthy. But, for me, it is the Kane Kaidina (whole lady fish marinated in that lovely orange-hued Bedige chillies paste, salt and a sprinkling of turmeric and deep fried until crisp) which is the real McCoy of the grill. It is of that lovely, crunchy crispness on the outside, while retaining the softness and moisture of the fresh fish and a squeeze of lemon juice just transports the simple, no-fuss dish to quite another level! 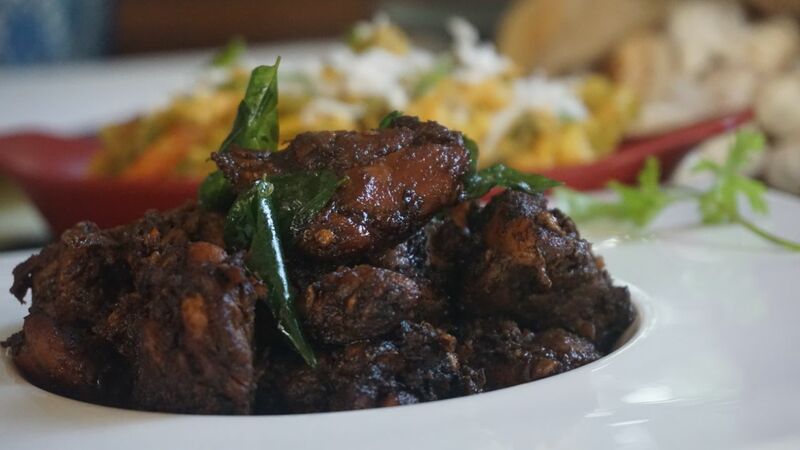 The Koli Barthad, a Coorgi fried chicken speciality is also absolutely addictive, with the Coorgi vinegar imparting its unique tart flavour. Kane Kaidina: Crisp-fried ladyfish was superb! There is also Chitranna or lemon rice, which is hot and fragrant with the aroma of ghee and the seasoning, the kind which gets demolished in seconds! 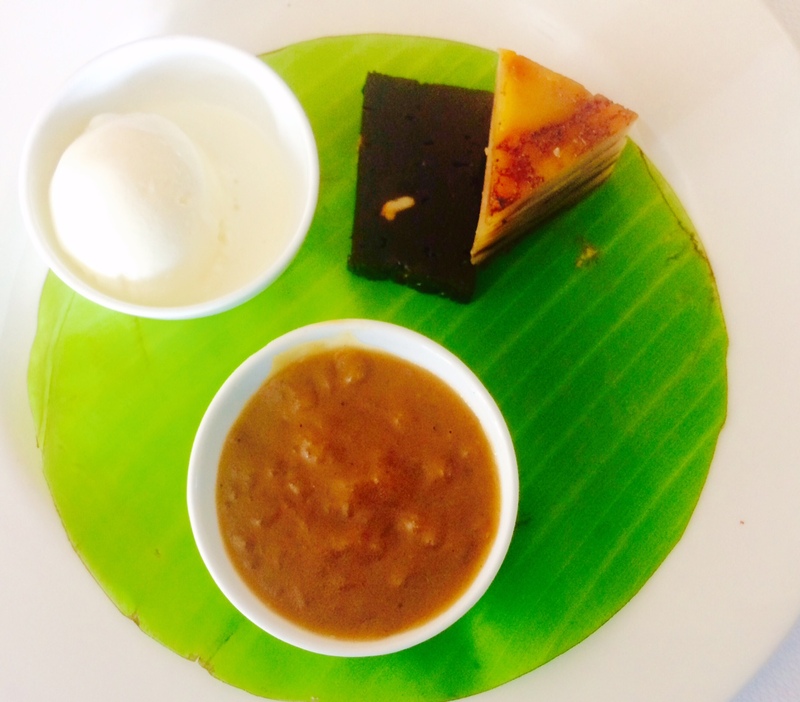 Karavalli Desserts: Ada Pradhaman and Dodol were maginfique! Finally, what I carried away from this feast was rare and organic, with simplicity and soul at its core essence. Food cooked and crafted with care and love, over generations and preserving the culinary legacies of Bunts\Konkani Brahmins of Mangalore, Moplahs of Malabar, Syrian Christians of Travancore, Havyaka Brahmins of Vitla and the Saraswat Brahmins of Goa. Also, the Taj group of hotels needs to be complimented for its initiative of preserving and popularising largely obscure (for the rest of us) cuisines and letting us savour cuisines from iconic restaurants based out of other metros.